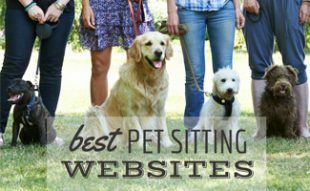 Best Pet Transport Service: Which Best Meets Your Pet Relocation Needs? Home > Play > Travel > Best Pet Transport Service: Which Best Meets Your Relocation Needs? Moving no matter how long the distance can be one of the most stressful life events in your life (let alone for your pet). That’s why it’s so important to make sure you find a service that offers TLC and reliability to make your pet’s journey as seamless as possible. There are a lot of pet transport scams online, so be sure that the pet delivery carrier you’re considering is registered with the United States Department of Agriculture (USDA). This ensures their commitment to humane practices. You’ll also want a pet transfer service that is a member of the International Pet and Animal Transportation Association (IPATA), the industry’s leading professional organization. Arizona-based Happy Tails Travel, Inc. has been an industry leader in shipping dogs by air for 23 years, and they also transport cats, birds, etc. They specialize in European relocation but have experience in many countries around the world. Happy Tails one-time fee is extremely competitive. The $425 fee covers all of their services, from booking flights and coordinating logistics to securing all necessary documents and providing detailed written instructions. This fee doesn’t include airfare. $500 for service U.S. to Hawaii or international to U.S.
Florida-based Air Animal has safely moved more than 100,000 animals since they opened 40 years ago. This veterinarian-owned family business partners with more than 225 airlines. Air Animal professionals are experts at various destination-based requirements in more than 165 countries. This pet courier service is extremely knowledgeable about quarantine issues, blood test and documentation requirements, and the preferred air carriers by destination. They also provide excellent domestic air transport with optional door-to-door service. California-based Pet-Express Animal Transport has been a trusted animal relocation service since 1978. They have a broad network of professionals nationwide and internationally. All of their drivers are certified pet handlers, and they work closely with major airlines to ensure a safe, stress-free delivery. Pet-Express also works with USDA-accredited veterinarians to provide treatment and to handle any medical issues your dog may need assistance with while traveling. Another plus, Pet-Express supports several animal organizations, and they help transport many rescue pets from shelters to their new forever homes. Below are our reviews for some other recommended pet transport companies. New York-based Animals Away has been a trusted worldwide pet shipping service since 1995. 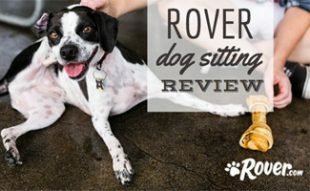 Like the other companies reviewed here, Animals Away takes care of all the booking, documents and door-to-door logistics for you. They’re committed to giving you a customized dog transport service, from direct flights when possible to a wide variety of modifiable kennels. Animals Away offers air transport worldwide and ground transport within local regions of New York, Connecticut, Philadelphia, New Jersey, Vermont, New Hampshire, Albany, Syracuse, and Boston. Texas-based PetRelocation has been specializing in international pet relocation since 2004 with service in more than 50 countries around the world. They also provide air transport within the U.S. PetRelocation books all your pet’s flights, drivers, and veterinary or USDA appointments if needed. In addition, they only work with trusted airlines and agents. If your pet can’t fly, however, you’re out of luck with PetRelocation, as they don’t offer long-distance pet ground transport. 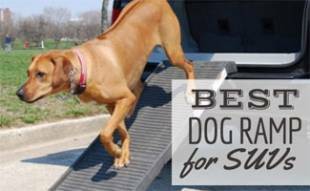 The following video is an excellent resource for planning and preparing for your pup’s big move day. Are You Vacationing With Your Pets? Can’t stand to be away from your dog while you’re on vacation? You’re not alone! It’s a fun adventure for him to accompany you on your travels. If you want to fly with your dog, there are airline requirements and other info you need to know. Our Flying With Pets article can give you answers to all your questions. 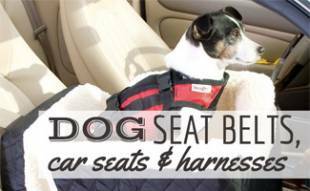 If you’ll be traveling closer to home, check out our tips on how to travel safely with dogs in your car. What are your biggest concerns about pet relocation services? Looking to rescue a three legged dog in TX. She is at a shelter now, and she may not much time left before she gets euthanized. We are 16 hours away by car. I’m willing to pay a reasonable amount to have her transported here to me. I don’t want her to be stressed out at all while in transit. I am close to Charlotte International Airport. What price range am I looking at? Approx 55lbs Female dog. That’s so wonderful you want to rescue a dog in Texas! I suggest contacting some pet transport companies and asking what price you would pay for your specific details. Pricing can vary on each location, distance, etc. Best of luck! We recommend getting prices from some competitors to see how the price compares. Hi Ken! I’d be happy to provide you with a quote and see if we can be anymore price friendly. Message me with you pet’s details? Hi. I am looking to rescue a small puppy from Ukraine.. she has been saved by a kind heart from a large shelter. She is missing a front paw… when I came across her story I could not pass it by. I want to bring her to love with me and give her a home. I am struggling to figure out how I can bring this dog from Ukraine to California. So I am reaching out for help and suggestions. Please let me know if you could help or point me in the right direction. Anything will help. Thank you. We are international pet movers offering best pet relocation, shipping, and transport services within the United States or internationally. Just working on getting information for moving abroad. PetRelocation gave me an estimate of $8800, not including the Quarantine or Ground Transport. Any thoughts about that price? Yeah. Extortion. That’s grossly over priced. Granted, you did not mention the number of animals to be relocated, nor the type or how far they are to be travelling. Just saying. I’ve used Pet Relocation in the past but only because I thought they were the only company that offered this service, so pleasantly surprised to see that as I started researching again that there are more options available. I am getting ready to make a big move again so will check these out. Woof Airlines is one guy that tries his best buy can’t fly half the pets and has to find other company and ended up added his price on top of other company’s price. Take a look of Facebook comments for Woof Airlines. 5 stars ⭐️ ⭐️ ⭐️ ⭐️ ⭐️ Do you know a better company?